There once was a farmer. He was a good farmer. He achieved good yields despite challenging circumstances. One day a neighbour asked him to reveal his secret. The farmer responded simply by saying that ‘last year I planned for the possibility of a tough year this year and strategised how I could still manage to achieve a favourable result even in challenging conditions’. Our world is experiencing unbelievable climatic abnormalities. The conditions that we farm in today are by no means the same as our fore fathers experienced years ago. The only way that we will be able to ensure food security into the future is to adapt! We need to plan for a wide variety of different conditions and how best we can produce food in each of the different scenarios. To be a farmer you need to perfect the art of planning in order to stay in business! As a crop farmer you should have a continuous process of thinking ahead. Even while you might be harvesting today you should be thinking of the crop that will go into the ground next season. But, don’t just think the plans in your head, write them down. Start by giving each crop field a name or code. This should always stay the same. Under the field name write out what the current situation on that field is i.e. maize planted, fallow, sunflower planted. Now one should break that down even further by going into more detail of the current application rates such as plant population, chemical applications, fertiliser etc. By doing this you are giving each field a gauging point in order to track trends and performance going into the future. This will allow you to plan and make changes for the next years inputs based on last season’s results, all while taking into account variations across the fields. You may even find that this will aid you in cutting costs as you will now be making your orders based on each specific field’s needs. Be good about keeping a day book which you keep with you all the time. This should be kept up to date with all the activities that you are busy with as well as your daily planning. Plans do change from time to time and this is quite acceptable, however, a proper record should be kept if this has occurred. 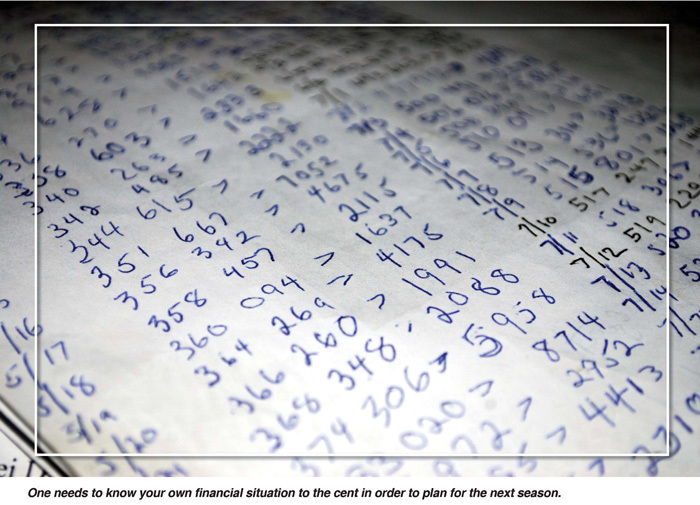 Cash-flows and budgets – one needs to know your own financial situation to the cent in order to plan for the next season. By knowing what your financial situation is, you will have a better understanding of what you will be able to achieve in the following year. It will also give you time to strategise and make arrangements with the banks or other financial institutions if the need arises. A well-prepared budget can go a long way in building investor confidence in your business. Inputs – as mentioned earlier, by having a good plan in place and knowing exactly what activities will take place in each field as well as what crop you will plant where, you will be able to plan your input requirements more precisely. If this can be achieved and your budgets are in order you will most likely be able to place your input orders nice and early. 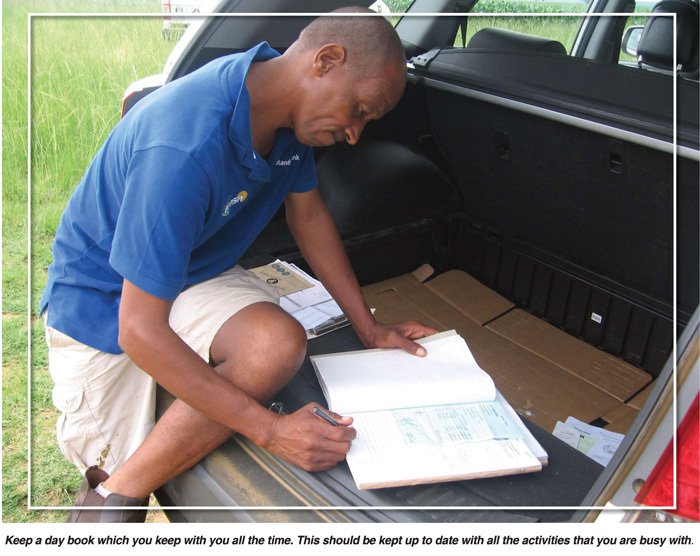 Labour requirements – labour is an aspect of our farming operations which can be a huge expense but which we don’t always plan very well for. It is usually the case that our labour requirements increase significantly in the busy time. Make an effort to plan your manpower needs and be pro-active about making arrangements with these seasonal staff members to be available at the time when you will need them and negotiate the terms of their employment before the season begins to avoid disagreements along the way. Equipment needs – know what your capacity is with regards to the equipment that you have access to. Don’t over extend yourself and take on more than you can handle. It is also crucial to plan ahead for maintenance and make sure that your equipment is in a good state before the season starts. Time – timing is everything. If you have a good plan in place and you are prepared for a variety of circumstances, then you will be in a much better position to achieve a successful result like the good farmer in the beginning of this article. A plan is only as good as its execution and implementation. Don’t put the effort into planning if you are not going to make use of the plans. Rather be pro-active and put in the effort that will reap you yields in the future. Article submitted by Gavin Mathews, Bachelor’s in environmental management. For more information, send an email to gavmat@gmail.com.